…but not many of us can actually afford those pretty little friends. Me neither and that’s why I make a lot of my jewelry myself and try to do that as inexpensive as possible. I use all kinds of materials, just recently I tried making jewelry from old pieces of fabric and cheap plastic beads. It turned out really nice, I think. 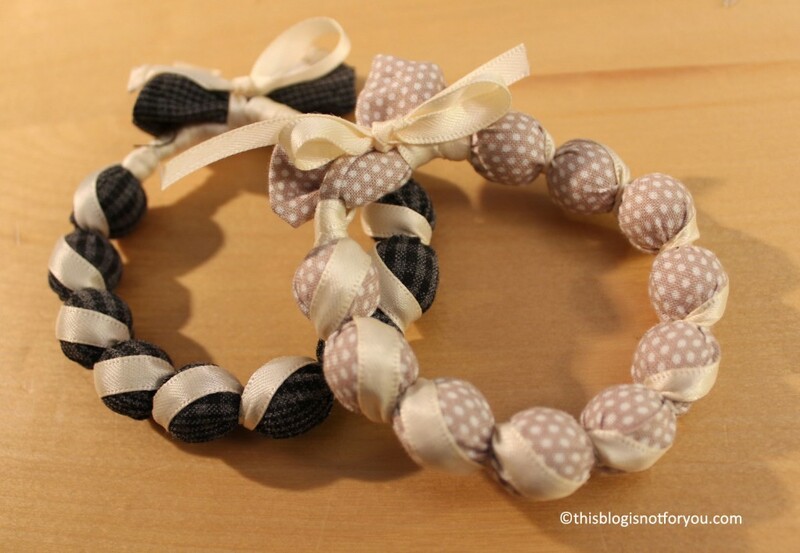 – a matching, rather narrow piece of gift ribbon, if you want to give your bracelet a final touch up. Be creative with your choice of fabric and ribbon. I used a cream-coloured ribbon (6mm) for both bracelets. 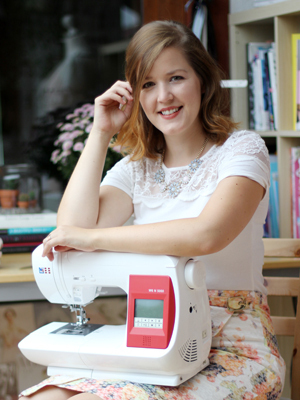 You won’t need a sewing machine, but it’s useful and goes faster if you have one. #2 Pick out the beads you want to use or cut an old necklace of yours. You can use plastic or wooden beads with different sizes and probably different shapes, as well, but make sure the size difference is not too big. #3 Pick out the fabric and a matching ribbon (optional). If you want your bracelet to be more modest, leave off the ribbon. 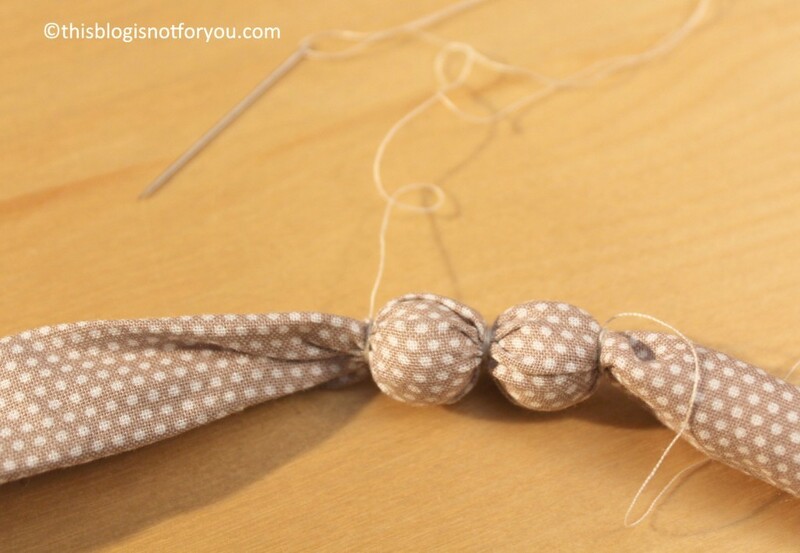 If you pick a fabric with a bigger pattern, try to imagine how it looks on your beads (Just wrap it around one of your beads and see what it looks like). 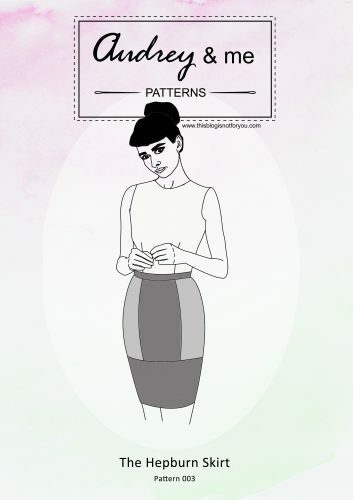 You might be better off with a smaller pattern. 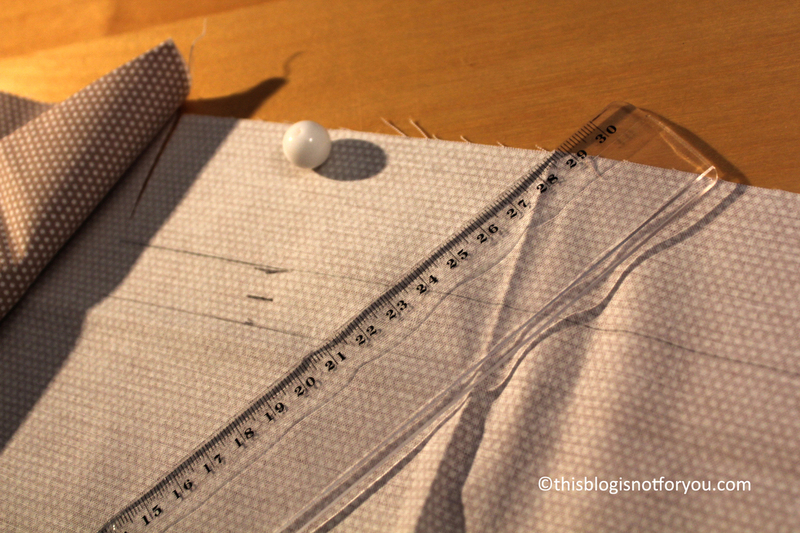 For the length of the fabric, measure the circumference of your wrist + some extra cm (30 cm should work for most of you). 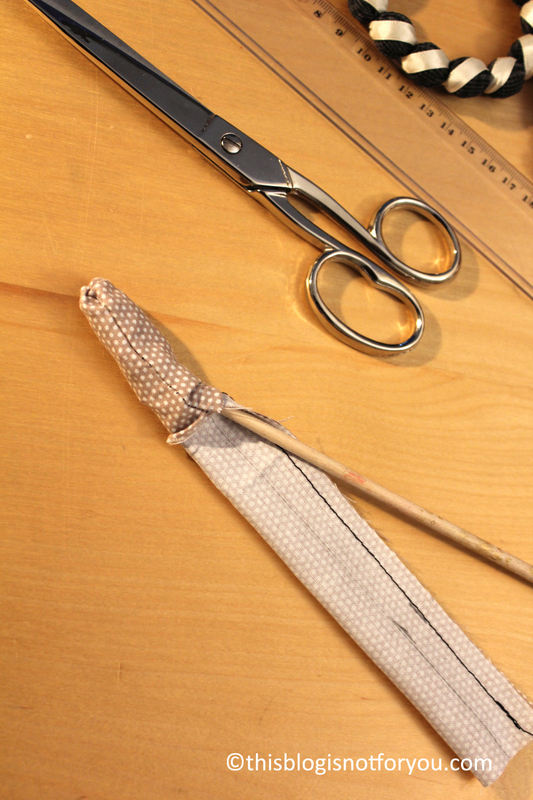 For the width, cover the largest bead that you are going to use + 1cm for the seam allowance. 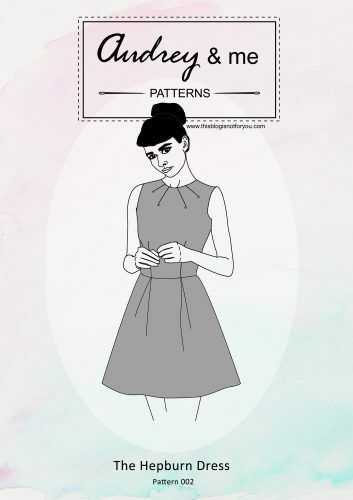 #4 Fold the right sides together, sew the fabric end to end using 0,5cm seam allowance. Turn inside out. You can do that with the help of a pen or brush. #5 Slide a bead into the tube (but leave at least 5cm of the tube open), then stick a needle through the tube above the bead and wrap it around the tube several times then tie it off. Try to hide the knot. Repeat until all the beads are in the tube (I used 10 beads (1,5cm) for each bracelet). #6 After you finished putting the beads in, close both ends. #7. 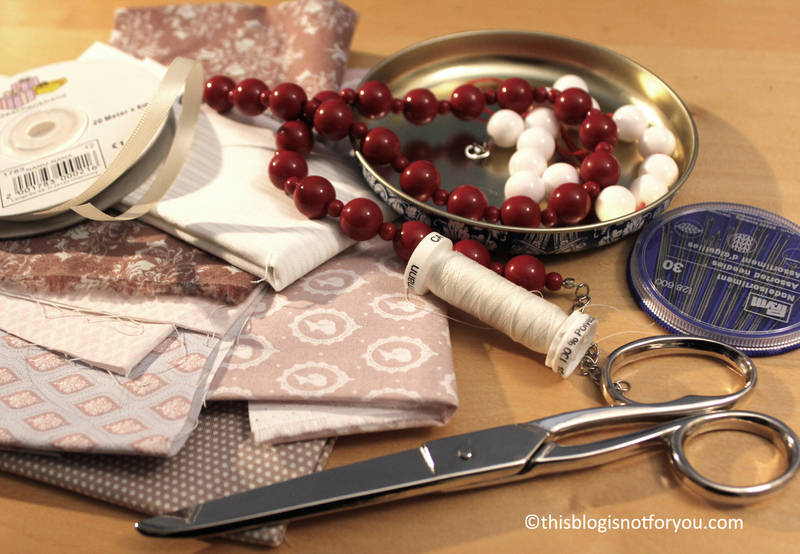 Cut the ribbon (twice the length of your fabric). 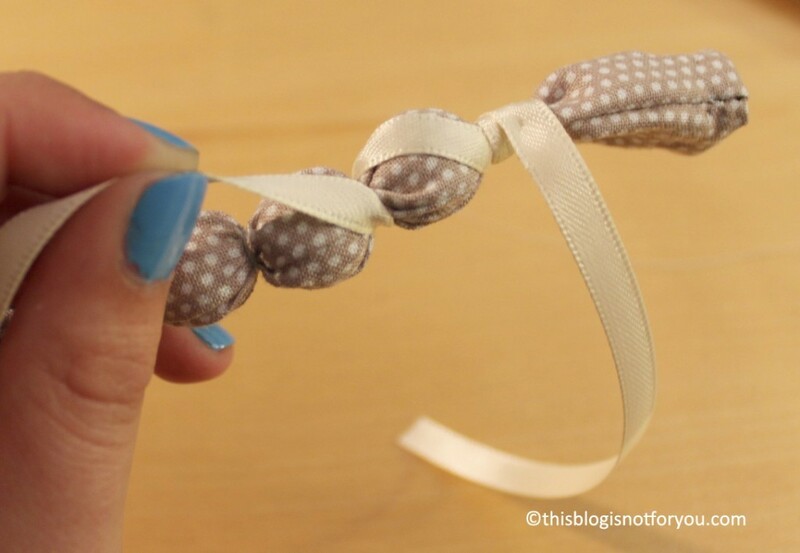 Sew it to one end of your bracelet, tie it off. 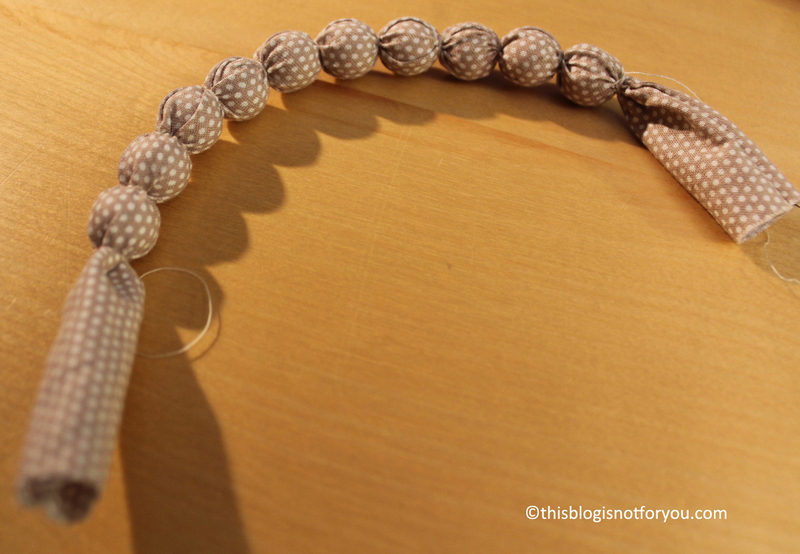 Wrap it around the beads (see picture below) and sew it to the other end of your bracelet. I wrapped it around the ends several times before sewing it. Use the loose ends of the ribbon to make a knot and a bow. And you’re done!